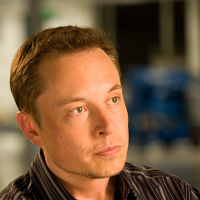 The Fool has written over 3100 articles on Tesla. One company's revenue surged 82% last year. The other's climbed 55%. Both have more strong growth ahead. Reading between the lines of the Tesla news circus reveals a very different story than the one Elon Musk puts out. With EVs gaining ground, demand for batteries is building, and companies on top of that wave are going to soar. Reading between the lines of the electric car maker’s short-term chaos hints at an unpleasant long-term story. The electric car innovator finally hit its 5,000 Model S vehicles a week production target … but the underlying story is more complex. Also, catch up on big news from Harley-Davidson, GE, SpaceX and more. Not in a good way, though. Meanwhile, Spotify and Fitbit delivered lackluster results. What on Earth Is Tesla Doing? Elon Musk seems to have the ability to spin anything into gold, but how many more delays will institutional investors put up with? Tesla has put another quarter on the books, and what a remarkably Tesla-like quarter it was -- for better and for worse. Yes, Tesla missed its Model 3 production estimates by a whopping 83% this quarter -- but that’s not the whole story. A plethora of headlines gave rise to concerns about the electric car maker's operations. Production and deliveries for the company's first quarter were much lower than expected. The company's Model Y unveiling may have lacked the excitement some investors were hoping for. Drastic measures required to bring Tesla's $35,000 Model 3 to market spooked investors. Speculation is rampant ahead of a mysterious announcement tomorrow. An analyst's bearish take on Tesla and reduced Model S and X production hours may have some investors worried. The capital-intensive nature of the auto business is pressuring the company's profitability. Here's how Tesla disappointed the Street, despite surging year-over-year growth in vehicle production and deliveries. The electric-car maker got a bullish vote of confidence from Wall Street. TSLA earnings call for the period ending Dec. 31, 2018. TSLA earnings call for the period ending June 30, 2018. Industry, sector and description for Tesla.